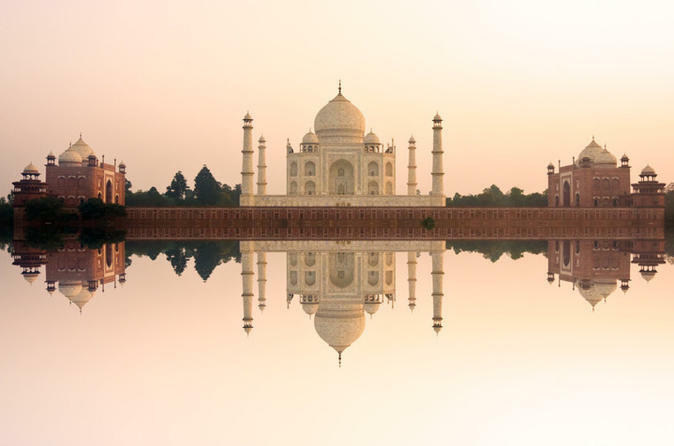 Visit the world-famous Taj Mahal at sunrise on this full-day tour from New Delhi. Get picked up from the airport or your Delhi hotel and travel in a private vehicle to Agra. Dawn is a magical time to see the Taj Mahal, the UNESCO World Heritage Site built by a Mughal emperor in memory of his beloved wife. Afterwards, your guide will take you to the imposing red sandstone Agra Fort and to enjoy some shopping, before returning you to Delhi. Breakfast, transport, and entrance fees are included. Explore India's Golden Triangle on this four-day private tour traveling by air-conditioned vehicle with a local guide. 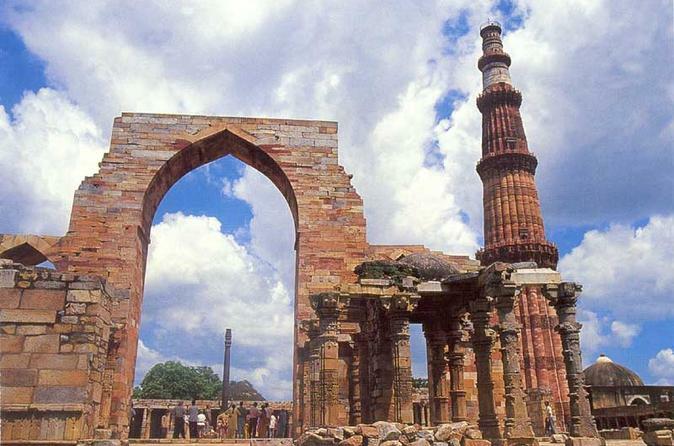 In Delhi, visit Qutb Minar, Lotus Temple, India Gate, and Parliament House. Watch the sun rise over the Taj Mahal, visit Agra’s Red Fort, and Fatehpur Sikri. In Jaipur, visit Amber Fort, Jal Mahal, Palace of Winds, Maharaja's City Palace, and Jantar Mantar Observatory. Three nights of five-star accommodations, breakfasts, transportation, and guided tours are included. You’ll sample local dishes for lunch and dinner on your own, and cover your own monument entrance fees. Marvel at the world's greatest monument to love, the Taj Mahal and magnificent Agra Fort on this unforgettable private tour. 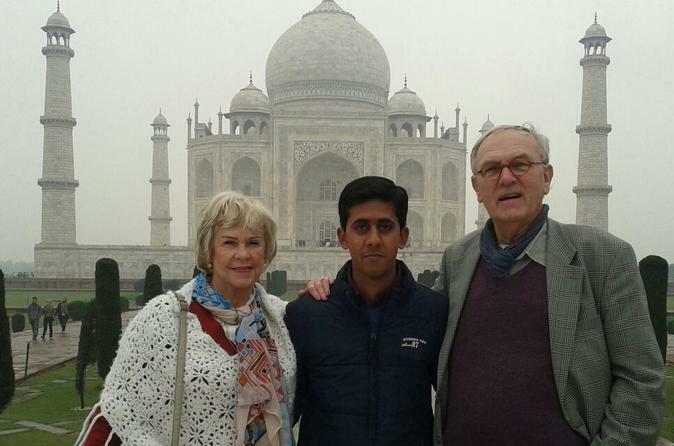 Accompanied by your own private guide, you will travel by chauffeured air-conditioned vehicle between Delhi and Agra and enjoy personalized attention as you discover the magical history and romance of royal India. 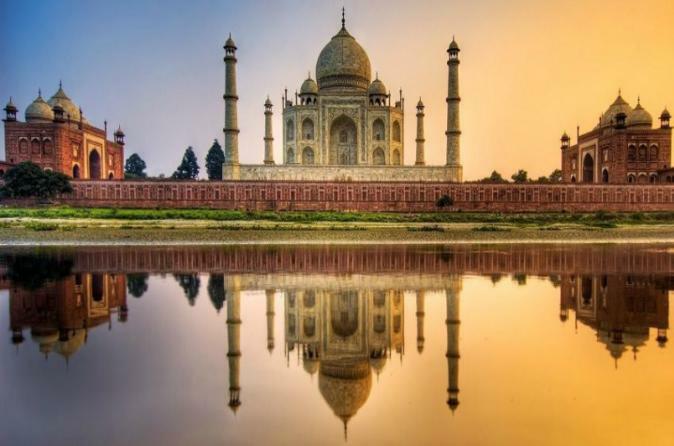 Marvel at the many architectural wonders of India on this 4-night private tour of the Golden Triangle: Delhi, Agra, and Jaipur. View the impressive monuments of Delhi such as India Gate and Raj Ghat — Gandhi’s memorial — and travel by private air-conditioned vehicle with a guide to see remnants of the Mughal Empire. You’ll visit UNESCO World Heritage sites in Agra including Taj Mahal, Agra Fort, and Fatehpur Sikri. 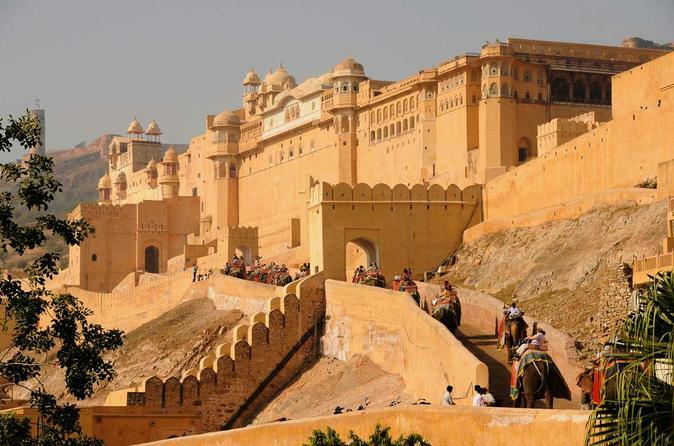 Then, ride a Jeep up to Amber Fort and enjoy a city tour of Jaipur’s royal past that takes you to the City Palace. Five-star accommodation with complimentary buffet breakfast is included. Enjoy a private day-trip to Agra from Delhi and experience the beauty of the Mughal Empire of India. You can see famous ancient architecture such as the Taj Mahal and the Agra Fort, a 16th-century Mughal monument. Your own private guide will make sure you have an great experience of these UNESCO World Heritage structures. Enjoy a high-class experience that combines a privately guided tour of the Taj Mahal and Agra Fort with dining at the 4-star Gateway Hotel — a Viator Exclusive available nowhere else! 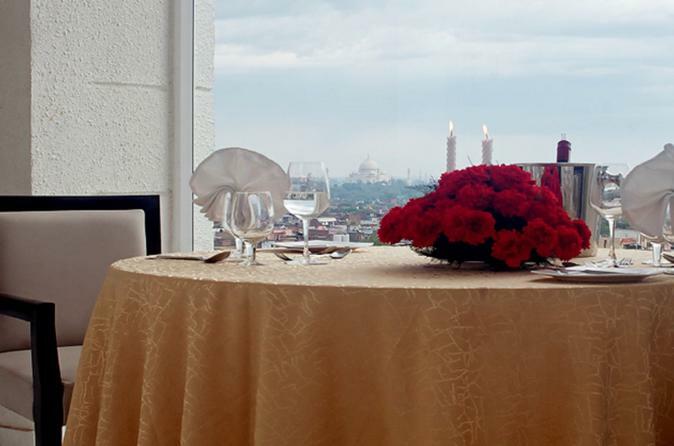 Choose from two options, lunch or high tea, on the rooftop Sky Deck with the Taj Mahal as your backdrop. Upgrade to include accompaniment by a professional photographer at the iconic site. You’ll discover the UNESCO-listed monument to love and the picturesque Agra Fort with a guide well-versed in India’s architectural history. 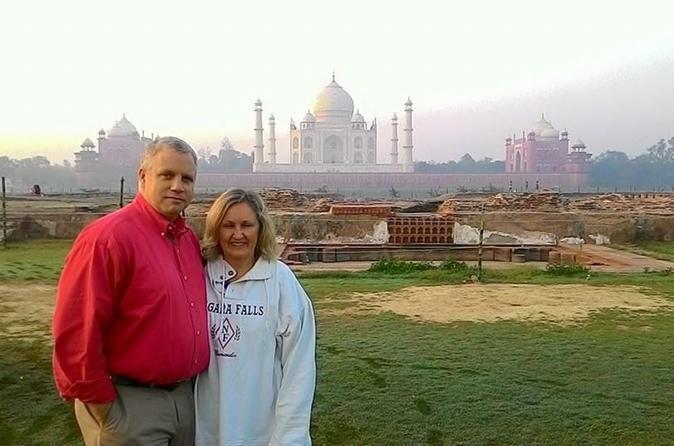 Your full-day tour includes a visit to the Taj Museum and round-trip hotel transport with a private chauffeur. This 3-day Golden Triangle tour itinerary guides you to the most magical cities of India -- Delhi, Agra and Jaipur. In Delhi visit Qutub Minar, Humayun's Tomb, Bahai Temple (Lotus Temple), India Gate, the Parliament House, the President's House and go bazaar shopping. In Agra visit the Taj Mahal, Agra Fort (Red Fort) and go bazar shopping. In Jaipur visit the Amber Fort, Lake Palace (Jal Mahal), the Palace of Winds (Hawa Mahal), the Maharaja's City Palace, Jantar Mantar Observatory and go bazaar shopping. This food tour of Old Delhi and New Delhi is a great way to explore the cuisines and sights of both parts of Delhi city in one delicious package. In this food tour, we will cover all the major culinary attractions of Old Delhi as well as New Delhi along with visits to a few landmarks of the city. Step back in time and discover the glory of Indian's Mughal Empire on this private day tour to Agra from Delhi. Visit India’s world famous Taj Mahal, Agra Fort and Fatehpur Sikri. Your own private guide will ensure that you get an in-depth experience of these emblematic structures. 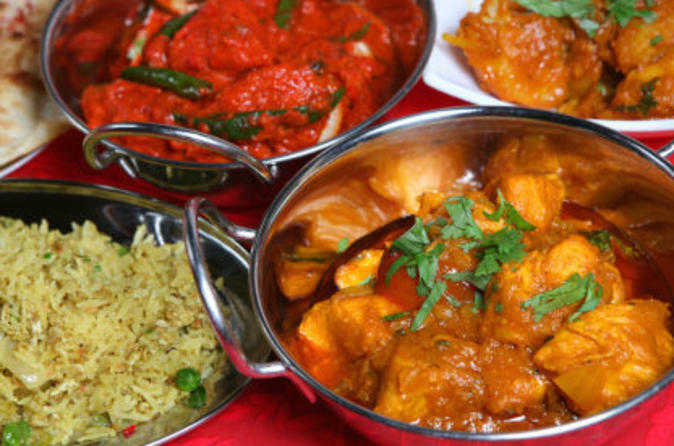 Immerse yourself in Indian culture and dine with a local family. This is an opportunity to learn more about local life, Indian lifestyle, the traditions of home life and the importance of family in Indian culture, arranged marriages and of course, the food. 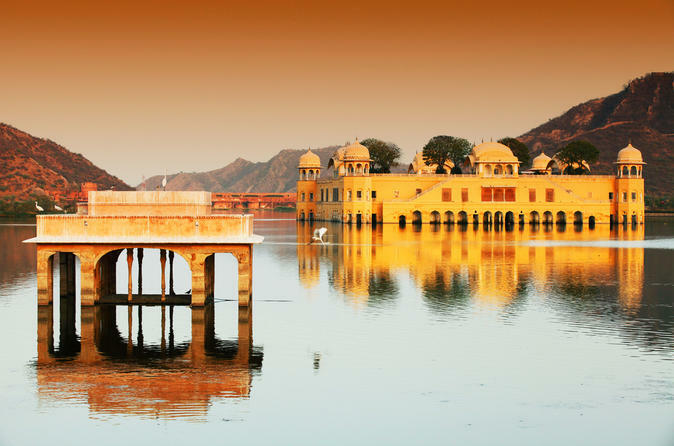 Embark on this private full-day tour from Delhi to Jaipur with a professional guide. 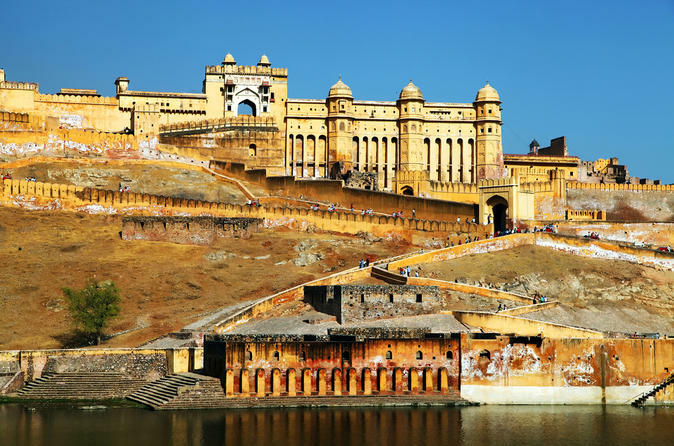 See the major sights of Jaipur including Amber Fort and City Palace, the royal residence of the King. Tour the Jantar Mantar Observatory, a local astronomical observation site, as well as the Palace of the Winds. Conclude the day with a drop-off at your Delhi hotel or Indira Gandhi International Airport. 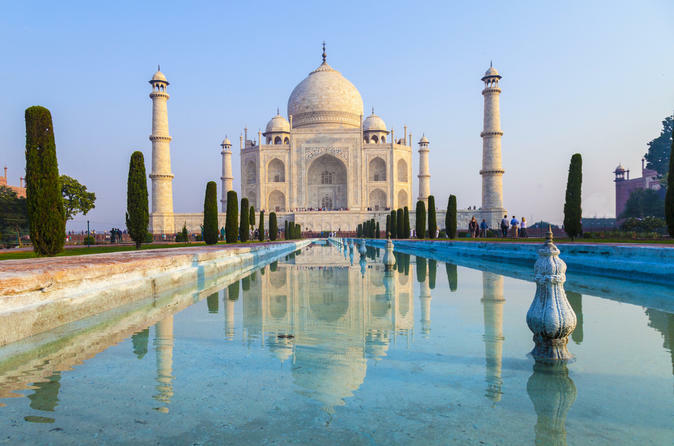 Explore India’s historical and architectural landmarks with a guide on this 6-day private tour of Delhi, Agra and Jaipur — the Golden Triangle — plus Mandawa. Starting in Delhi, visit Jama Masjid, one of the world largest mosques, and Raj Ghat, Gandhi’s memorial site. See the UNESCO World Heritage Sites of Humayun’s Tomb and Qutub Minar as well as other design marvels like the Taj Mahal in Agra. 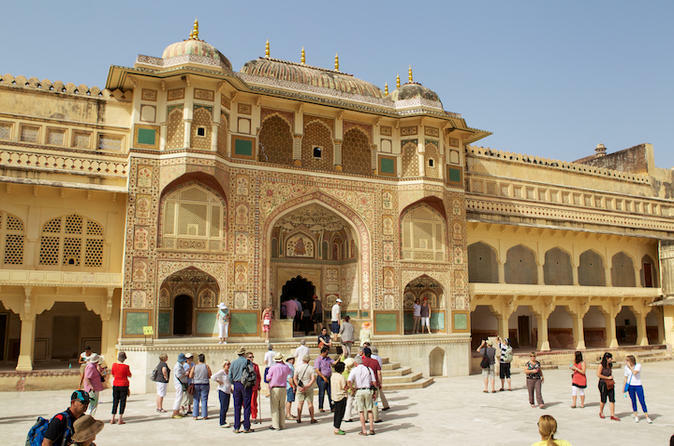 Discover Amber Fort in Jaipur before seeing the marvelous ‘havelis’ (mansions) of Mandawa. Breakfast is complimentary, with optional upgrades to include lunch or dinner. 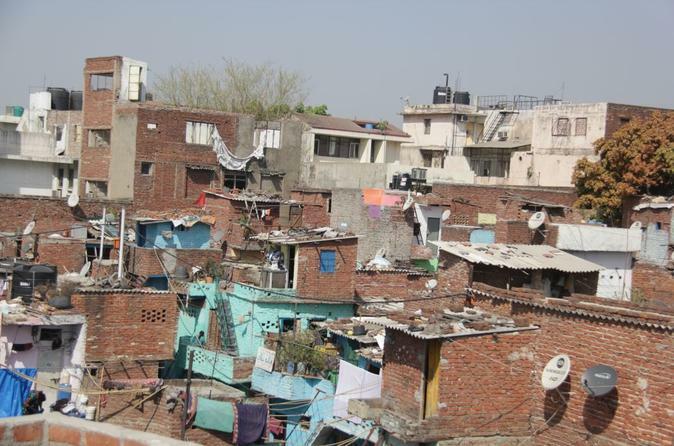 Gain awareness and a deeper understanding of Sanjay Colony, a small slum located in the south of Delhi. This walking tour with a qualified guide takes you to several locations including small-scale businesses, a temple, a family home, and a school. Learn about challenging work conditions and residential life on your visit to this determined community inside the slum. Your tour includes a one-way metro ticket from Connaught Place to Okhla Station. Choose a morning or afternoon departure on this tour limited to six people, ensuring an informative experience with a small group. Immerse yourself in Delhi’s rich heritage on this 5-hour private walking tour of some of South Delhi’s most important sites. 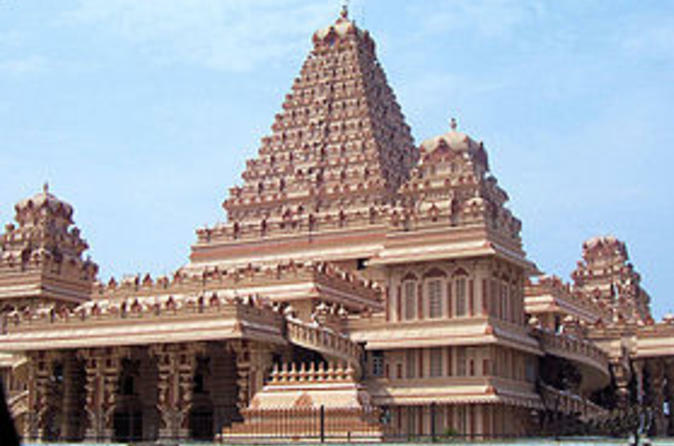 With your own private guide, explore notable and extravagant temples like the Yogmaya Temple and Chhatarpur Temple. 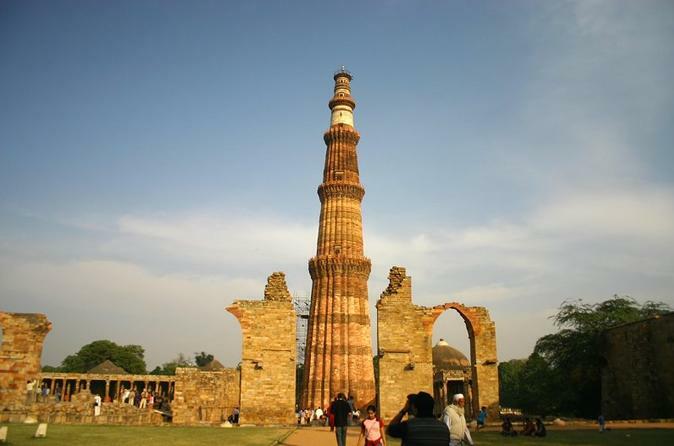 Learn about Delhi’s past on a walk through the Mehrauli Archaeological Park and marvel at the early-Afghan architecture of the UNESCO World Heritage-listed Qutub Minar. 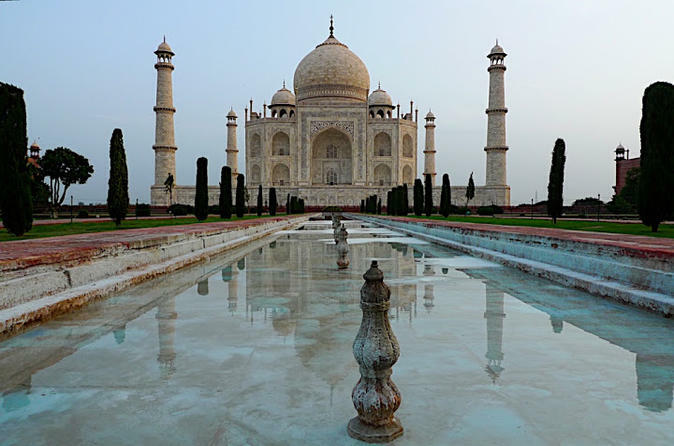 Travel to Agra to visit the wonderful Taj Mahal on this private day-tour from Delhi. 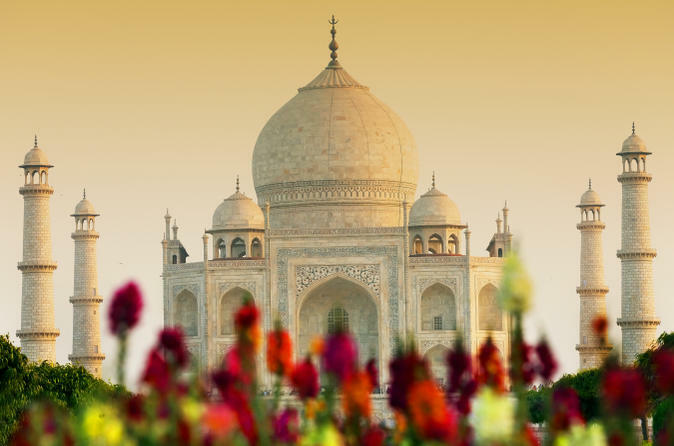 Discover the Taj Mahal with a qualified and experienced local tour guide and learn about the incredible yet mysterious architectural design of the monument. In addition, visit the magnificent Agra Fort, a UNESCO World Heritage site. See the Baby Taj Mahal (Itimad-ud-Daulah's tomb) and Mehtab Bagh, a garden with a beautiful view of the Taj Mahal at sunset. 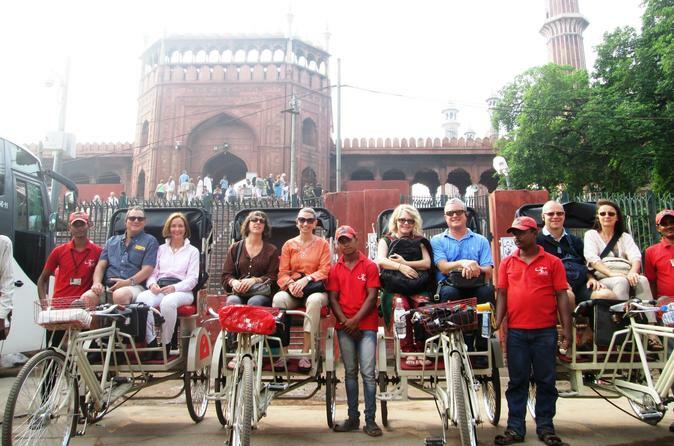 Explore Old Delhi in a traditional sense, with a rickshaw tour. These tours are based on a unique concept and give insight into the history, heritage and culture of the city. Our enthusiastic guides give live commentary with wireless headsets, breathing life into the history of one of the greatest heritage cities in the world. They will also help guests discover the real places that they will not find in the guide books. Our rickshaws have been specially designed for your safety and comfort, which provides a luxurious ride in an otherwise chaotic and vibrant city. 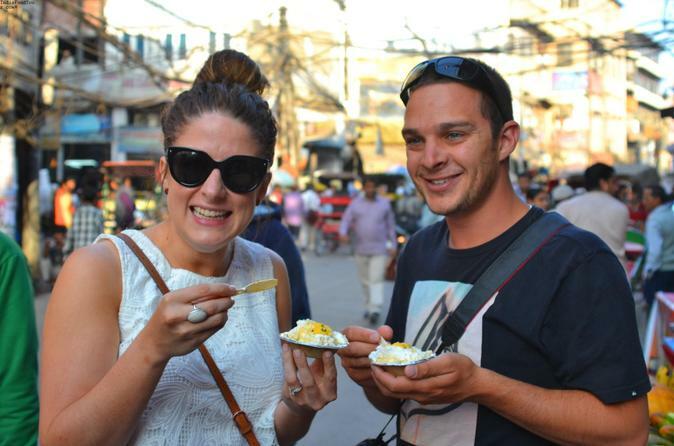 Take to the lively streets of Old Delhi on this delightful food tour with a chance to spoil your taste buds with some of the best street food from the city's oldest food places. Explore 7 to 9 different food spots which have been in business for decades - some for even more than 100 years - and taste some local culinary favorites. 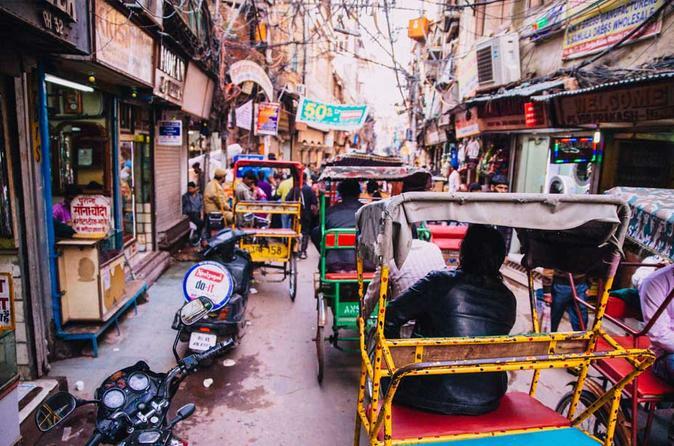 You will have a chance to ride rickshaws and visit old markets and streets such as the Spice Market, Chawari, Bazar, Chandani Chowk as well. This private Taj Mahal day tour gives you the opportunity to make a pilgrimage to the Taj Mahal, India's most famous architectural wonder. This guided tour gives you insight into Agra, a city famous for its Unesco World Heritage sites which include the Taj Mahal and Agra Fort. 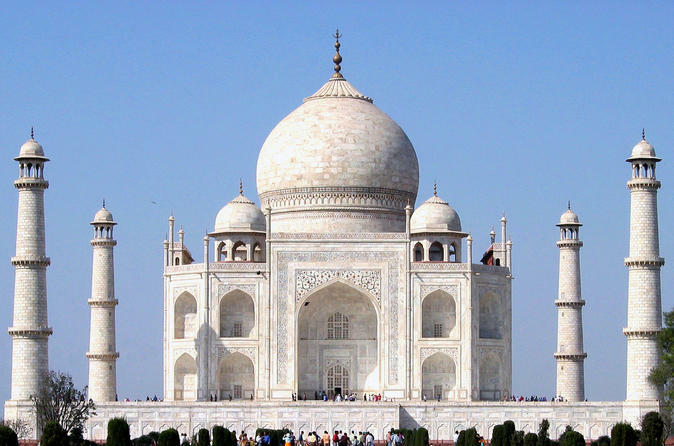 On this tour, you will visit the Taj Mahal, Agra Fort and Mehtab Bagh. See some of Delhi’s top attractions and learn about its dynamic culture with an expert local guide on this full-day private tour. 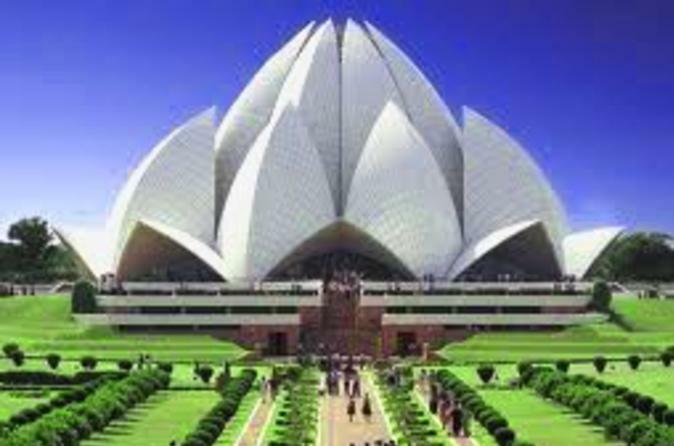 With your guide, visit two masterpieces of architecture in Delhi – beautiful Bahai Temple (known as the Lotus Temple because of its flowerlike exterior) and the UNESCO World Heritage-listed Qutub Minar. Then witness India’s exquisite artistry and discover its interesting cuisine while strolling around Dilli Haat, a vibrant food and crafts bazaar. 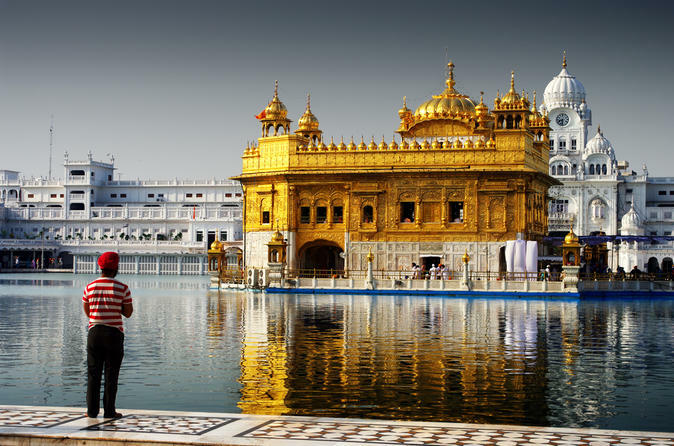 Immerse yourself in Punjabi culture and Sikh religious history on a 2-day trip to Amritsar – by rail from Delhi. Your professional guide will accompany you to fascinating sites in the centuries-old city, stopping at temples, picturesque gardens and palaces en route. See the Golden Temple (Harmandir Sahib), founded by Guru Ram Das, and watch the lowering of the flags at the Wagah border. On the second day, your 'old city' sightseeing tour includes the memorial of Jallianwala Bagh and a visit to Maharaja Ranjit Singh’s summer palace at Ram Bagh Gardens. 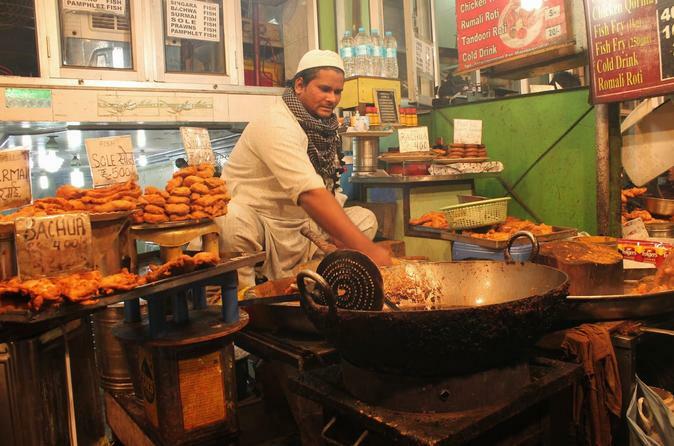 See Old Delhi on this 3-hour tour of markets and monuments. A friendly local guide takes you through the bustling streets for an authentic glimpse of the ‘walled city’ in the heart of Delhi. As you travel by foot and rickshaw, explore Khari Baoli spice market, visit a Sikh temple, and admire historical landmarks such as the Red Fort and Jama Masjid. Numbers are limited to seven people, ensuring a personalized experience with a small group. 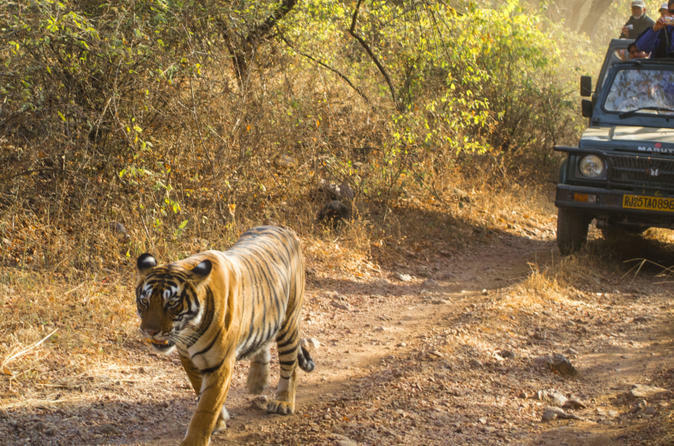 Visit historic palaces and fortresses in India’s Golden Triangle (Delhi, Agra, and Jaipur), and embark on a safari through Ranthambore National Park, on this 6-night private tour. Led by a guide, ride a Jeep up to Amber Fort and explore architectural gems like the UNESCO World Heritage sites of Taj Mahal and Qutub Minar. You'll also go in search of Bengal tigers and other wildlife during two guided game drives by Jeep. Travel round-trip from Delhi by private, air-conditioned vehicle and train, and enjoy 5-star hotel accommodation with complimentary breakfast. Explore India’s Golden Triangle, including Agra and Jaipur, on this private 3-day tour from New Delhi. Visit the 11th-century UNESCO World Heritage Site Qutub Minar,the Bahai Temple that is also known as the Lotus Temple, and the India Gate. Drive by the Parliament House, the President's Palace, and the Secretariat buildings. Experience the Taj Mahal and take a tonga ride. Then see the Red Fort in Agra. In Jaipur, discover the Amber Fort and take another ride, then see the Pink City and the Jal Mahal. Enjoy dinner at Agra and Jaipur. Travel comfortably in a climate-controlled vehicle with a guide. Enjoy private day tour of Old and New Delhi which reflects the images of the past and the reality of the present. Explore heritage monuments like the Humayun Tomb, Qutub Minar and the Jama Masjid, that have been witness to history, meandering narrow streets of Old Delhi . 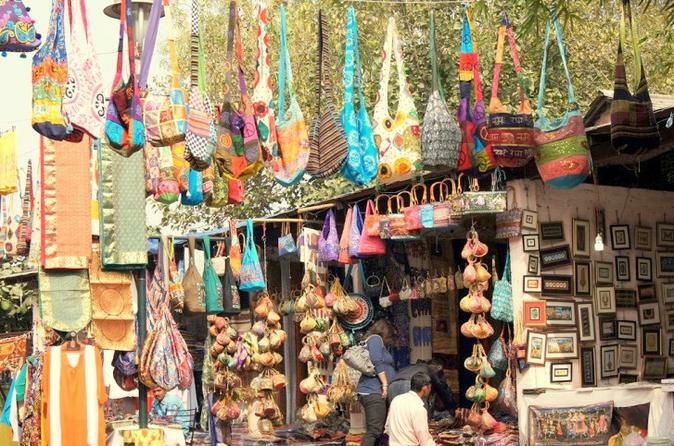 Shop in Delhi on a private tour that goes beyond the city's streets to its bustling markets. Choose to visit several of Delhi's most interesting markets with your guide and customize your 6-hour itinerary to your specific interests. Shop for arts and crafts, souvenirs, clothing, or electronics. Each market has a unique ambiance, and many include opportunities to sample local and international cuisine. Get an early start from Delhi to arrive in Agra in time for the sunrise at the Taj Mahal. Marvel at the spectacular beauty of this monument to love. 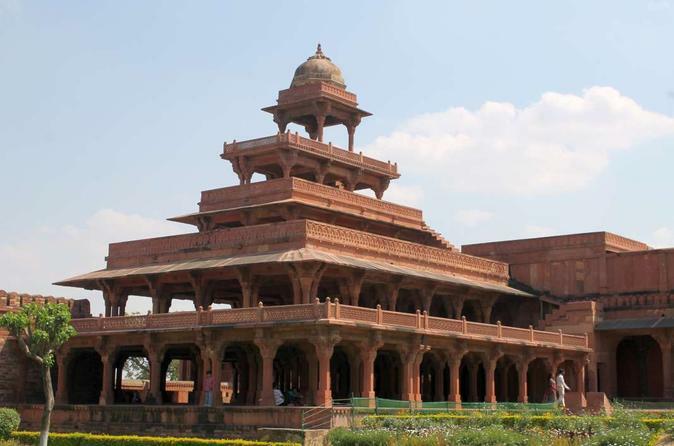 Visit the Red Fort and the Tomb of Akbar the Great with air-conditioned car. Walk back in time and discover the glory of the Mughal Empire on this private day trip to Agra from Delhi with a private car, driver and experienced guide. Experience the architecture of the Mughal Empire by exploring Agra's UNESCO World Heritage Sites: the famous Taj Mahal, Agra Fort, Itmad-ud-tullah and Mehtab Bagh. 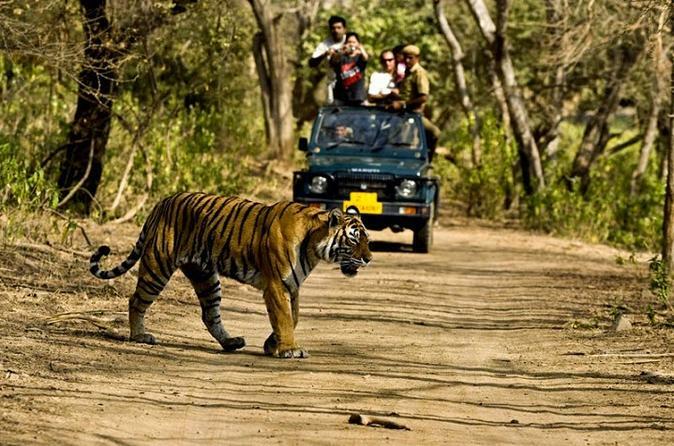 Explore the Golden Triangle and Ranthambhore National Park, on this 5-day private tour. 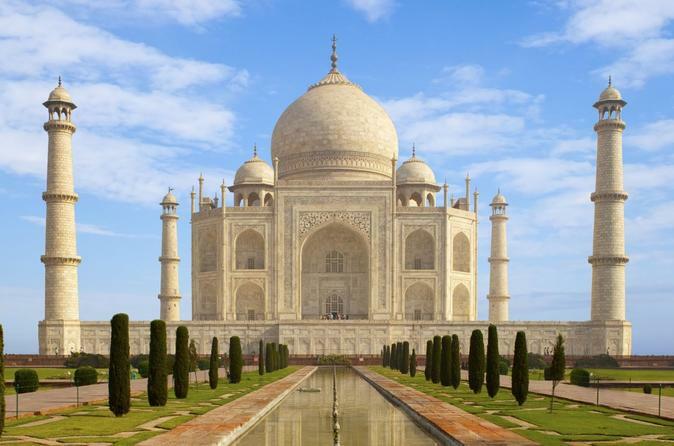 Visit the Taj Mahal, Agra and Jaipur. See the Qutub Minar, Humanyun's Tomb Jal Mahal, Palace of Winds and the Maharaja's City Palace. Go to Ranthambhore National Park. 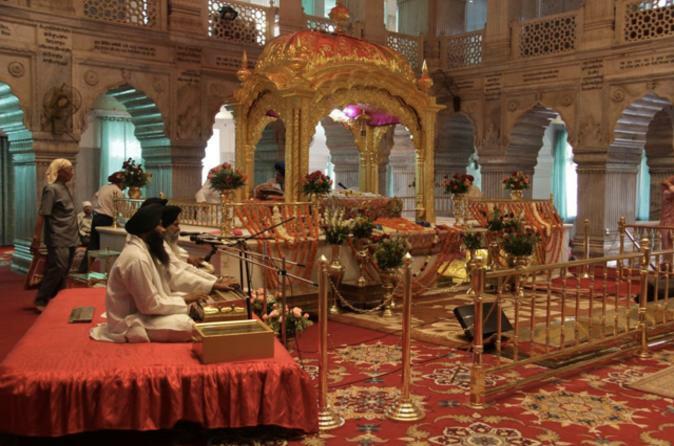 Journey to South Delhi with a private guide and driver for a 6-hour tour of four significant spiritual sites. 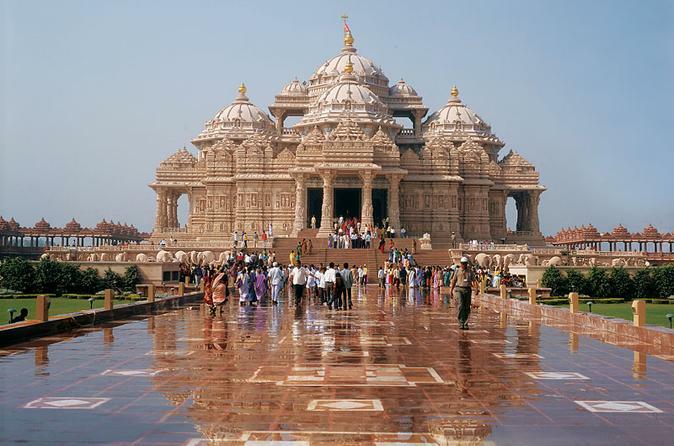 Your tour starts at the immense Akshardham Temple, and then takes you to a renowned Bahai house of worship named Lotus Temple, the Hare Krishna’s ISKCON temple and Chattarpur Temple, aka Shree Adya Katyayani Shaktipeeth Mandir. Listen to insightful commentary throughout the day from the guide, who points out other landmarks en route. A private vehicle provides a comfortable ride. Immerse yourself in the vibrant culture of Old Delhi on this 4-hour walking tour through some of its biggest markets, including the massive Chandni Chowk market, enjoy visiting the Jama Masjid mosque, and enjoy a traditional dinner at a local restaurant. Experience the splendor of India’s top architectural monuments, including several UNESCO World Heritage Sites like the Taj Mahal, Humayun’s Tomb and the stunning Fatehpur Sikri. 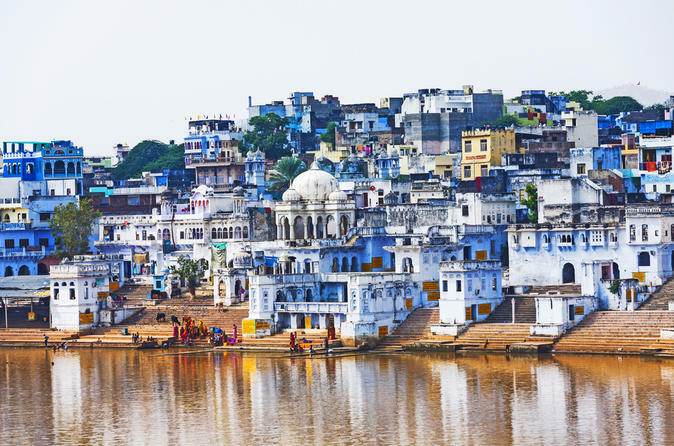 This 7-day private tour with a guide gives you insight to Muslim and Hindu cultural influences in the Golden Triangle — Delhi, Agra and Jaipur — plus Pushkar and beyond. See Qutub Minar in bustling Delhi, visit the City Palace in Jaipur and admire the Brahma Temple in Pushkar. Breakfast is complimentary, with optional upgrades to include lunch or dinner. 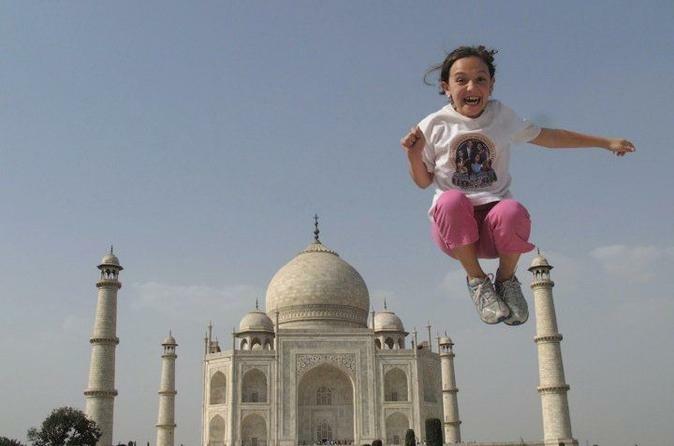 India is worth a visit for the Taj Mahal alone. Journey on a full day tour from Delhi and see the iconic monument and the nearby Agra fort, a UNESCO World Heritage Site. Travel in a private vehicle with a maximum of 4 people per booking. Walk through the Old Delhi to experience traditional Indian lifestyle and culture. Visit Jama Masjid. Walk through the bazaars of Chandni Chowk. Stop for some famous snacks. Enjoy a short rickshaw ride on your way to the spice market. At the end of the trip, get dropped off at the nearest metro station. Take a private guided tour of the major attractions in the cities of Delhi, Jaipur and Agra, an area known as the Golden Triangle. Offered is a 4-day tour with accommodation at select 4-star hotels, such as The Four Points Sheraton. Marvel at the iconic Taj Mahal in Agra, visit the lost city of Fatehpur Sikri, tour the Amber Fort (an astonishing blend of both Hindu and Mughal architecture) and witness many other attractions such as the Hawa Mahal, or The Palace of the Winds, and much more. On this private 8-hour custom tour, travel by private air-conditioned vehicle and enjoy the services of your local English-speaking city expert to explore Delhi your way. Your personalized guide will assist you to plan your day in Delhi to suit your interests. 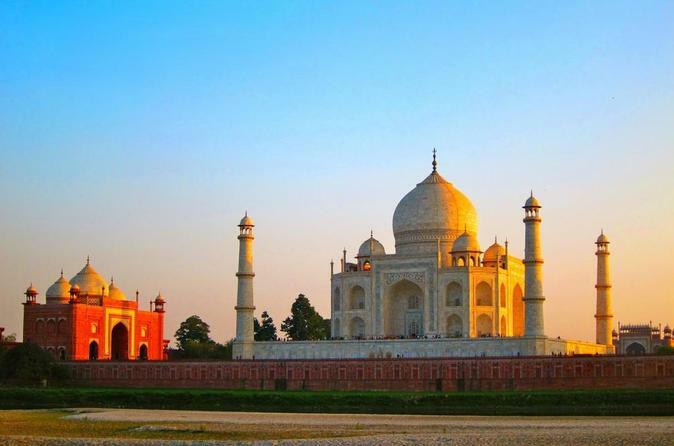 Enjoy this private day trip to Agra from Delhi and discover the glory of the Mughal Empire of India. You can see ancient architecture significant to India’s history such as The Taj Mahal, The Agra Fort and Fatehpur Sikri - the abandoned capital of the Mughal empire. Your own private guide will ensure that you get an in-depth experience. 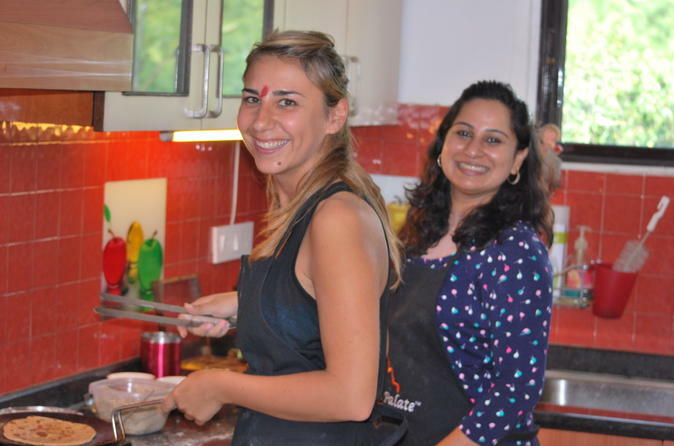 Understand the art of Indian cooking, its tricks & nuances and visit an exotic spice & vegetable market of Delhi in this traditional Indian food cooking class. In the company of an expert hostess, learn about the use and significance of various medicinal herbs, and at the end of the class prepare a delicious Indian dinner as you eat together with the family. There’s no place in India more exotic and exciting than an Indian kitchen. It is the place where all the culinary tales and tricks are unveiled.